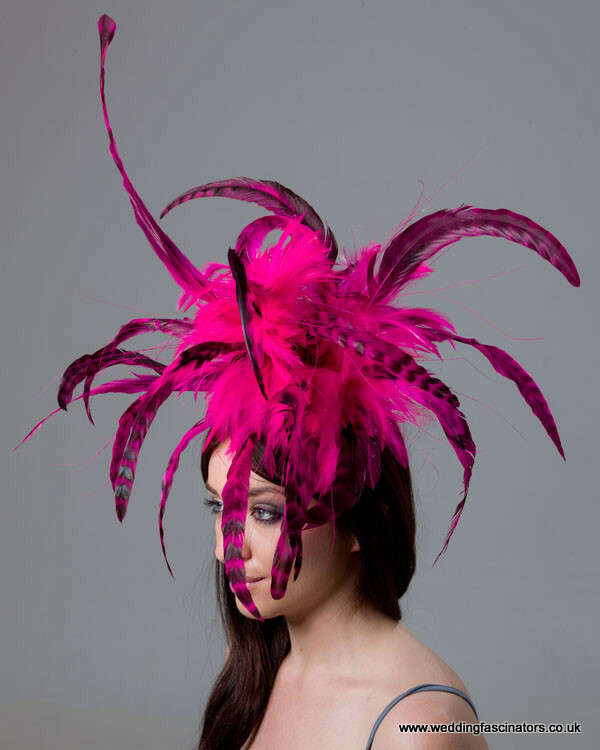 A stunning and eye-catching cerise pink and black wedding fascinator in Mayfair style. 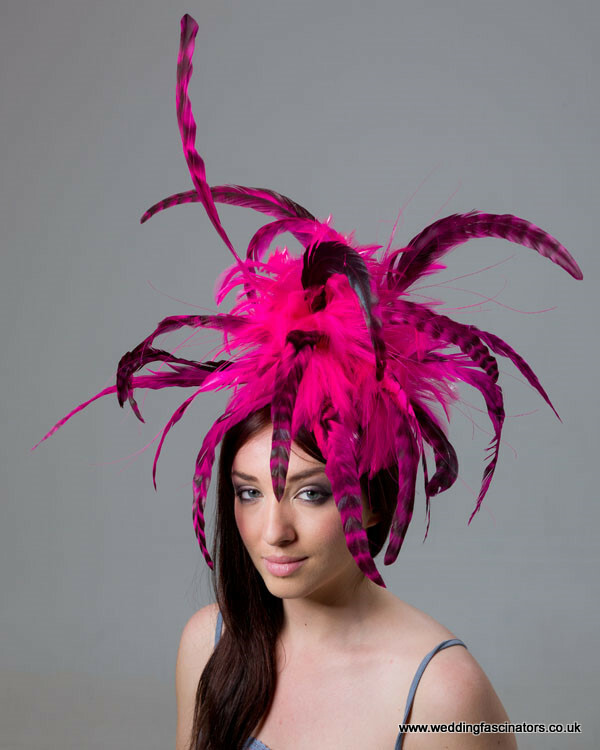 A stunning and eye-catching cerise pink and black wedding fascinator. 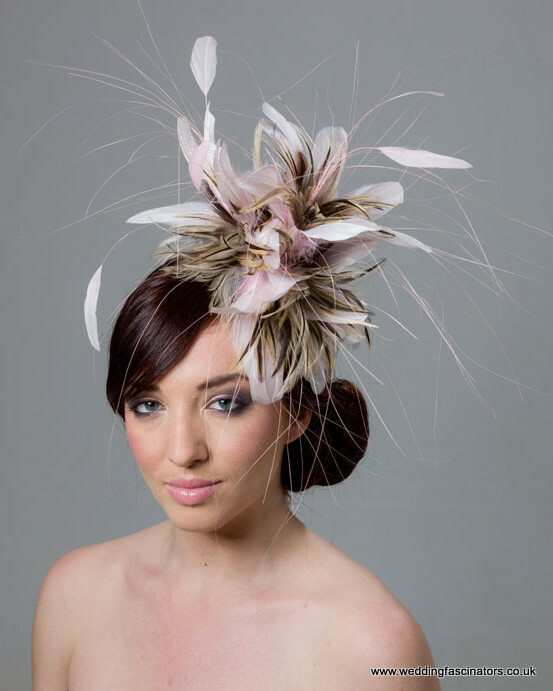 This headpiece is a mixture of hackle feathers and unstripped coque feathers with dyed burnt peacock. 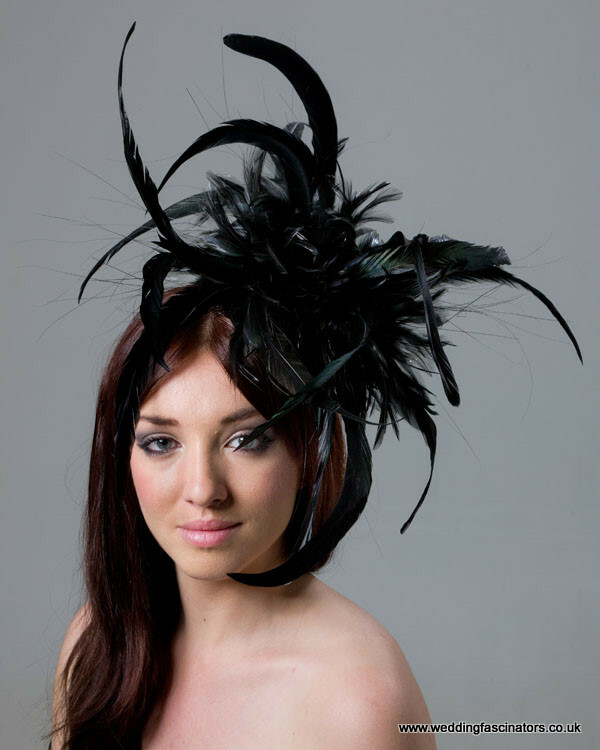 It is on a see-through comb and can be worn on either side of the head. 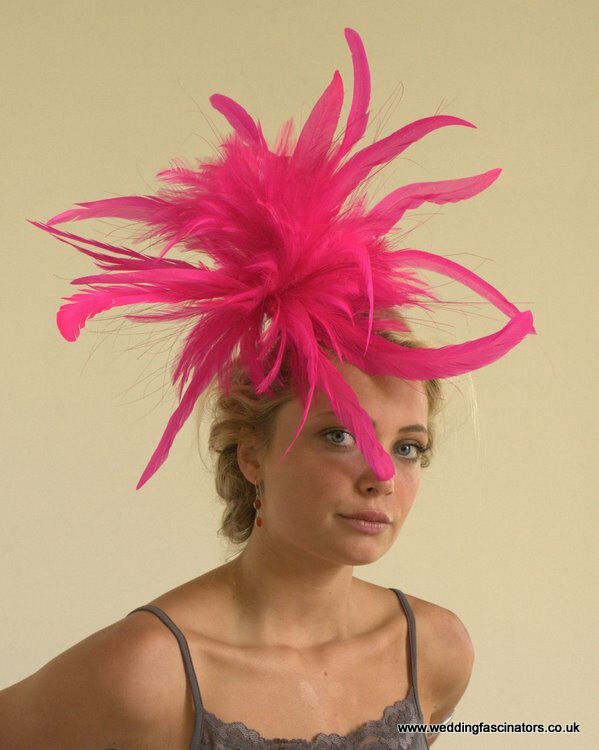 Perfect for a wedding, an elegant party or even the races, including Royal Ascot.